Our goal is to provide outstanding service to our clients while taking them to hospitals and other necessary appointments in a timely manner. This was also true when 1st Advanced first opened its doors in 2004. Our company was founded as 1st Advanced Transportation in 2004. With only two wheelchair vans, our purpose was to help those in our communities who needed transportation to and from doctor's and dialysis appointments. Through hard work and dedication we were able to obtain our BLS and ALS licenses and expand the company to nine ambulances and four wheelchair vans, offering 24/7 service by the end of 2008. 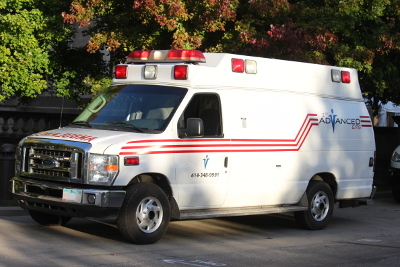 In 2010, to honor our additional emergency transportation services in light of our growing company, we decided to change our name to 1st Advanced EMS. We strive to provide quality emergency and non-emergency care to meet the evolving needs of our surrounding communities.